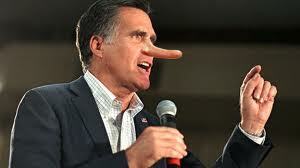 ROMNEY’S AND RUIN’S LIES ROUNDUP FOR AUGUST, 2012! 1). President Obama is trying to end the work requirement for welfare recipients. 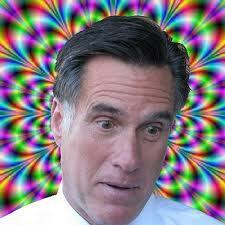 NOTHING could be further from the truth, and Romney knows this full well! What Obama did was to allow several states, AT THEIR REPUBLICAN GOVERNORS’ REQUESTS, to seek waivers from certain welfare rules, PROVIDED THESE STATES COULD FIRST PROPOSE PLANS BY WHICH THEY COULD INCREASE EMPLOYMENT WITHIN THEIR BORDERS BY AS MUCH AS 20%! 2). President Obama’s Affordable Care Act takes $716 BILLION out of Medicare BENEFITS. ANOTHER detestable LIE which both candidates keep repeating over and over! Obama has simply reduced, over a 10 year period, what the government will pay to PROVIDERS. Medicare’s RECIPIENTS are largely UBAFFECTED by these cuts. Romney and Ruin are simply trying to scare the elderly and those on disability into believing that Obama is cutting their benefits, and it’s a damned LIE! What the Republican team DOESN’T tell you is that the Ryan budget, which was passed by the far-right Republican House, contains many of the same cuts – although, in that ridiculous budget, the cuts are primarily aimed AT RECIPIENTS RATHER THAN PROVIDERS! 3). Romney claims that Obama has “taken federal dollars [$90 billion], your money, to invest in solar compamies and wind companies…in so-called green jobs.” This, too, is a pathetic and misleading LIE, in that the overwhelming majority of that $90 billion was appropriated by President George W. BUSH BEFORE Obama even took office! All Romney is trying to do with this lie is to portray Obama as one who is wasting money on solar and wind energy and neglecting fossil fuels like the already overly-subsidized oil industry! 4). Romney claims that he left Bain Capital in February, 1999 to go “rescue the Olympics” and had little or no say in the day-to-day operations of that company after then,especially during the time in the early 2000s when Bain was heavily involved in outsourcing American jobs. Yet the fact of the matter is that Romney was listed as the “sole shareholder, chairman of the board, chief executive officer, and president” in legal filings that were made for both the state of Massachusetts and the Securities and Exchange Commission, PLUS he even CONTINUED TO RECEIVE A SALARY FROM BAIN UNTIL 2002! 5). 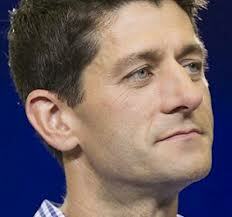 Paul RUIN has been slamming the President for cuts made in defense spending. Yet what makes this a hypocritical lie is that he himself voted FOR the Budget Control Act, which calls for automatic cuts in defense spending as well as other domestic programs. Now this hypocritical little rookie opportunist is out campaigning for his master’s proposed millitary spending INCREASE! 6). Recently, after the President told a group of voters that small businesses didn’t come into being simply because of individual initiative, Romney and nearly the entire Republican establishment jumped on his comments to distort them into an anti-business remark, which they certainly were NOT. Obama simply wanted to point out, CORRECTLY, that businesses are created TOGETHER with government help, as they depend on government built freeway systems, public schools, and the U.S. Mail, among many other government-run facilities, for what they need to come into being and maintain themselves. After all, NO man, and NO business, is an island! 7.). 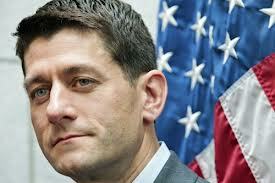 Ryan has called the $787 billion 2009 Stimulus Bill a “failure” (which it WASN’T) and a “wasteful spending spree”. Yet HE VOTED FOR THE BILL and REPEATEDLY ASKED FOR STIMULUS MONEY FOR HIS DISTRICT! 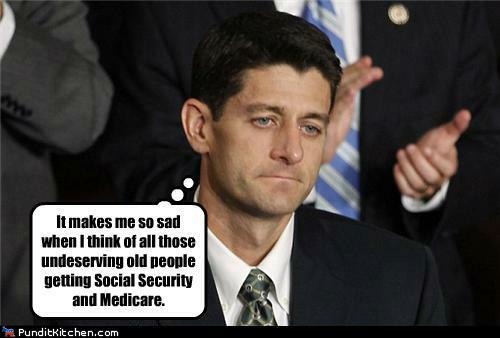 Another lying hypocritical stance from Paul RUIN! 8). 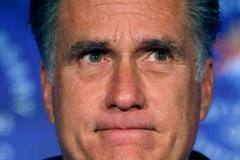 Romney claims that Obama is suing to prevent members of the military from voting early in the state of Ohio. This is patently absurd, since Obama filed a lawsuit to ensure that ALL Ohioans, INCLUDING those in the military, would have early voting rights over the last full weekend prior to the election! 9). Paul RUIN has repeatedly described himself as a fiscal conservative and, paradoxically, a devotee of the teachings of the notorious anti-government, libertarian hypocrite, Ayn Rand. Yet, he has been employed by government for the vast majority of his adult working life, went to school on funds provided his family by Social Security as part of its survivors’ benefits following his father’s death, and has repeatedly voted in favor of large, UNFUNDED government expenditures like the Afghanistan and Iraq wars, the Bush Medicare Prescription plan, BOTH of Bush’s ridiculous tax cuts for the rich, and, to his credit, the auto bailouts and the 2009 Stimulus Plan, which he now hypocritically denounces. 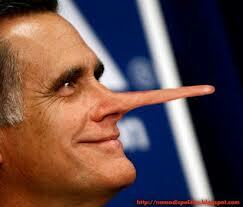 Thus, his claim to be a fiscal conservative is a deceptive LIE! He is, though, an extremist SOCIAL conservative, who would set back women’s rights 100 years! 10). 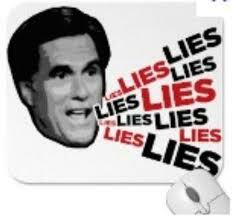 Romney has repeatedly claimed that, “unlike President Obama, I will not raise taxes on the middle class.” What makes this a LIE is that Obama has NOT, and will NOT, raise taxes on the middle class (unless Romney believes that the middle class includes those making more than $250,000 per year, which it most certainly does NOT)! 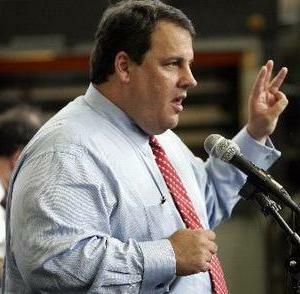 In his keynote, “tough love” speech last Tuesday at the Republican National Convention, New Jersey governor Chris Christie told us that both Romney and his running mate will tell us “the hard truths we need to hear…” Both could begin right NOW by STOPPING THEIR INCESSANT LYING IMMEDIATELY! This entry was posted in Bush tax cuts for the rich, commentary, economics, extremists, libertarians, Mitt Romney, Mitt Romney's LIES, Politics, reactionary Republicans, taxes, Tea Party and tagged 12 million new jobs, Ayn Rand, Medicare, Paul RUIN, Paul Ryan's LIES, Social Security. Bookmark the permalink. 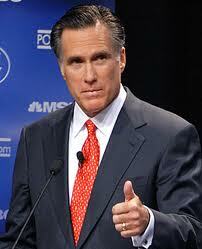 6 Responses to ROMNEY’S AND RUIN’S LIES ROUNDUP FOR AUGUST, 2012! Another lie from Ryan (two actually): When word got out that Ryan had requested some of that commie stimulus package that he had been slamming, he claimed he must have signed the request form but didn’t know what he was signing. If either of those claims by Ryan are true (which we know they aren’t), he needs to have a grownup with him at all times to make sure he doesn’t walk across the street without looking or take candy from strangers. It’s big job and a dirty job, Jack, but you’ve done it extremely well yet again. The only thing I can add is that people, including rank-and-file, small-town Republicans need to realize that if these selfish, self-serving hustlers will lie to them as primary and general-election candidates, there is no reason to think they’ll magically stop lying if they get elected. 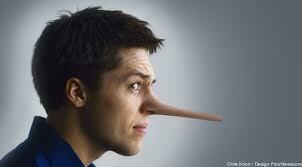 Most people instinctively dislike and refuse to trust people who lie to them. 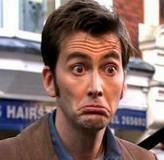 That’s especially so for people who lie to them repeatedly. You have to hand it to Karl Rove, Fox and the rest, for their ability to suspend people’s disbelief and get them to accept that that warm, wet feeling down their leg as just rain drops — when a Republican is standing right in front of them relieving himself. You’ve hit the nail squarely on the head once more, and I thank you for your always accurate insight. Keep your truth coming it is pure gold to the GOP straw and sticks.